Bosnian Crochet is pretty fascinating, really, because it is worked predominately in slip stitch. This is a stitch that is usually used in combination with other stitches or to close a round. It's normally not used completely on its own. That's one of the fascinating things about this technique. Material worked all in slip stitches tends to be dense and heavy, making it a great method for mittens, scarves and hats. It is often worked in the back loops of the previous row’s stitches, but not always. When this is done, it gives the material a ribbed look and a great texture. This technique was started in Bosnia, obviously, but has made its way across Eastern Europe and even into the Middle East. It is a very old type of crochet, possibly the oldest. That makes it pretty cool in and of itself. Something else that makes it cool is that it’s been around long enough to be known by several different names. They’re not all English and because of that they won’t all translate to exactly the same thing. 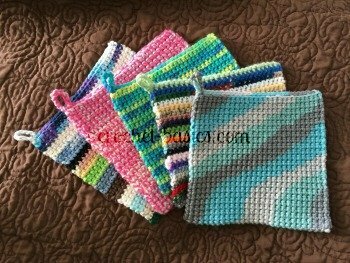 However, they all refer to slip stitch crochet, which is what this is. Here’s just a few of those names, but definitely not all. You might think that a project worked entirely of slip stitches would be rather boring, but in my opinion, you would be wrong. It creates beautiful patterns with color and technique and it has its own unique look and style. 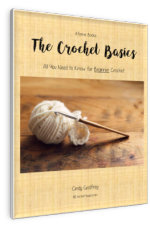 Many people find working slip stitches over and over a difficult thing to do. This could be why this method has its own special hook designed to make the stitches easier to work. It’s called a pjoning crochet hook. It has a fat, flat handle that swoops down to the hook. They can be made of many different materials, but wood and plastic are very common. 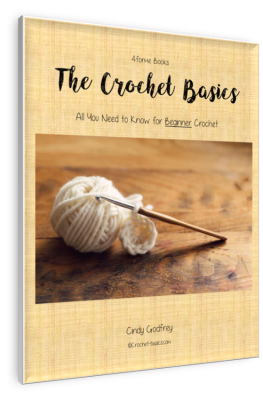 Crochet Concupiscence has some great information and history about this technique as well. Amore Fecit also has a nice walk-through here.